Thursday night is always curry night. My wife is away leaving my daughter and myself the freedom of cooking curries. Personally I would have curry most nights, but not everyone is a dedicated curry nut like me. 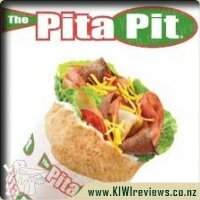 As the default, dedicated vegetarian reviewer on this site, it falls to me to give a balanced review on the vegetarian. We never use yoghurt or cream, and so we always use coconut cream anyway, but I gather Coconut cream is more authentic in this type of curry. I sauted a load of vegetables, chucked in some (Chinese) gluten and tofu and simmered until ready. I guess you could throw in some paneer if you like, I just can't handle too much cheese though. Dinner was served with basmati rice, naan bread and some papads, it was great. 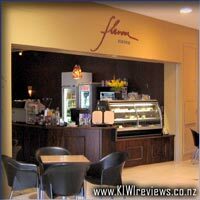 Despite being 'hot' it was 'kiwi hot' only which to me is pretty mild. I could have done with a fair bit more Chillie in it, but I think it was just right for my daughter - not mouth burning hot, but with a little warmth to the palate. 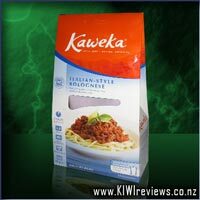 Overall, a great product that is rich with flavour and will give you authentic curries that can be prepared at home. At $10 per sachet it is a little steep, but the flavour does make it worth it - especially when you consider that this will do a few meals and buying a curry will set you back more than that. Having done the Butter Chicken in a slow cooker (of sorts) and getting some great results, it was a no-brainer to try this as a beef madras in the slow-cooker. Throwing a kilo of gravy beef - easily chopped up into bite-sized chunks using the Lasser ceramic knives - a chopped onion, some course-chunked carrots, potatoes and about half a cauliflower head, into the cooker, along with the entire packet of this mixed sauce with a can of reduced cream - to help keep the liquid content down - and just enough water to help provide a good heavy steam to aid cooking. After assembling everything back into the Quarter Acre Pot and leaving it for 6 hours, a quick check showed that it was ready... and what a delightful dish it was! Because I had forgotten to do the rice at the same time, I chose to leave the curry in the cooker for another 20 minutes while I whipped up a batch of wholegrain brown rice, cooked in water with a hefty pinch of Beef Stock thrown in... inspired decision, if I do say so myself. It added just enough flavour to ensure that even the 'plain' rice wasn't too plain for my family, who are not huge rice fans. The curry flavour was amazing, and due to the method of cooking, had seeped right into the delicate, tender meat. A nice warmth without being too hot, thanks to the use of the reduced cream. Never have been a fan of coconut cream or milk, so that just wasn't going to happen for me anyway. What also made this a great meal was that after we had all been served, there were still plenty of leftovers, so it was a simple matter to unpack the pie-maker and some sheet pastry and make some single-serve pies that could be frozen for later consumption. Overall, this is probably my second favourite curry... and I love that fact that even I can't ruin the flavour of this without some dedicated effort to do so! 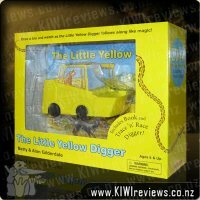 With it's number of uses, it's good value for money if used cleverly. 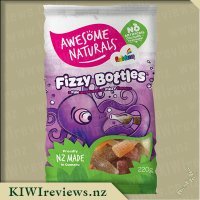 I am still hoping to see this on the shelves in the local Pak'n Save, but for now I will have to look at buying online - something I am loathe to do, but this just may be worth the hassle of getting a debit card sorted out finally! As a family we sat down excited to try the Mel's Madras Coconut Masala. We made fresh Ralta and Naan Bread and had Jasmine Rice on the side. We also had freshly made Greek Yoghurt sitting in the fridge and all I can say is thank goodness for that. This meal was much hotter than I expected. I think I should of read the who back of the packet as it does say 'hot' which I failed to notice. Its so easy to follow the recipe although next time we will try using the slow cooker as found this sauce took a while to thicken up in the end had to add the corn flour and do ourselves as was too watery, maybe also add less water. Also don't like the fact you make the sauce then add the chicken - prefer browning my chicken first. My thirteen month old loved it although she suddenly let out a scream and tipped her water into the bowl (first indication was too hot) so added more yoghurt to her plate and gave her some cucumber which calmed her down. My eldest daughter who is three is not feeling the best tonight and would not eat it as was too hot for her. My husband LOVED it and would happily eat all the time. I really enjoyed it, not as much as the Butter Chicken mind you, but was still yummy, definitly was spicey. 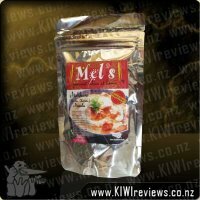 I love Mel's sauces as they are fantastic they actually seep right into the meat and the sauce has so much flavour. I also think they are fantastic value compared to how much you would spend at the local takeaways. 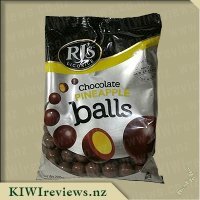 Will definitly purchase Mel's in the future. We are now huge fans of Mels ready to use sauces and this is our second favorite in my household (Mels butter chicken being the ultimate), we absolutely love them and it is such a shame that they are so expensive, as those on a budget would struggle to be able to buy these regularly. This curry can be used for pretty much anything you want really; chicken, lamb, vegetables, fish, just whatever you want. The packet calls for cream to be added which again could stop some people from purchasing. 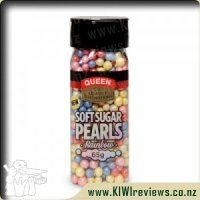 However if you do check out Mel's website it does say you can add coconut milk or even evaporated milk, which could be helpful if you have them in your cupboard already. Like the other ready to use sauces the flavour goes deep into the food, its not just a coating on the outside. I think this is awesome as many sauces in today's market just coat the food but dont go right into it. I would recommend checking out the website, there is so much more additional information and it is nice to read the story on the husband and wife team that are the face of Mel's gourmet indian at home. 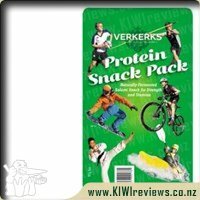 You can order online also which is handy if you are rural living or can not find the sauces at your local. 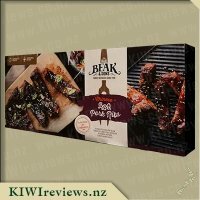 Plus if you look on the website and click on each of their sauces it gives you extra information, recipes and how to use the sauces (which is handy as some of the packets dont tell you how to use). Very helpful and interactive website too. 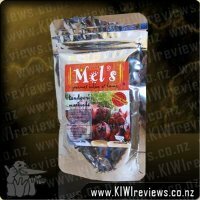 Yep we love Mel's ready made sauces and cant wait to try more of the varietys they have on offer. Having loved Mel's Butter Chicken the family was excited when I said I was cooking Mel's Madras Coconut Masala. I love South Indian food and am a huge fan of Goan Fish Curry so thought I would follow Mel's recommendations and try this sauce with fish. I chose a good firm fish with no bones and cut into chunks then added to the curry sauce with one can of Coconut milk. I didn't add the 2 cups of water as I thought this would make the sauce too watery so just used about 1/4 - 1/2 a cup. I left this sauce to slow simmer whilst I cooked my rice, roti's and vegetables. Mel's instructions don't give cooking times so I find it a bit hard to plan for everything to be ready at the same time. I just left the curry simmering gently whilst I got everything ready and then served. This curry is Divine! We all loved it. No-one else really likes fish in the family but they all tried it and then Miss Five asked for a dish of just the sauce to dip her Roti's in. I had expected the sauce to be hot but it was just perfect. The coriander in the sauce gives this curry a flavour reminiscent of Thai curries. I had multiple helpings and after I had cleared dinner away wished that I had thought to keep the leftover sauce we hadn't used for another day. This sauce could be used with all meats and I would love to try it in the slow cooker with meat. I would buy this sauce for a special meal or when having friends over. Next time I would save any leftover sauce for future use as well and perhaps try freezing it. It would be useful to know if this sauce could be frozen. 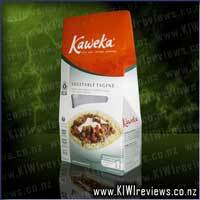 It is vegetarian so can be used with eggs, paneer, tofu, chickpeas etc for a vegetarian meal. This is truly a sauce worth trying as it makes serving up a divine Indian meal a breeze. Yummy! Following the instructions not quite to the letter our chef opened this pack of curry paste. He browned our chicken pieces first and then added the paste with a 400 ml can of coconut cream and half the suggested water. He then simmered the sauce with the chicken. We re-heated my curry infused flatbreads and cooked up the Jasmine rice to have with our curry. I also made a nice milky ice coffee to have with this to help cut the heat for those of us partaking. The smell of the coconut was subtle in the cooking phase, mingling with the spices. Our mouths were all watering as we waited for the curry to cook. We each served ourselves some rice, curry and bread and sat down to the feast. The chef's partner commented on the level of chilli in the sauce. She felt that the sauce should have been less chilli hot and more curry hot. She found it surprising how much liquid the pouch makes. It looks like its only going to feed 2 people, but you could easily feed 6 with vegetables in the mix as well. She felt that the level of spiciness was about a restaurant medium heat, so not a "hot hot curry". My chef said that he could taste something vinegary. He thought it might be the tamarind. He felt that it was definitely more a medium heat than a hot curry. But then everyone has a different idea of hot. He thought the taste of the coconut was really good. He was impressed with the amount of sauce the packet made even with half the suggested water. But he felt it wasn't as good as the butter chicken we had previously. I personally found this very hot. I could sense the coconut in my mouth as I breathed in, as well as in the aftertaste. But otherwise I really only got the heat. The chilli was pretty overpowering for me. When I cleaned my palate and then re-tasted the sauce, I noticed tomato in there as well. I think it might have gone better with some reduced cream in the mix to thicken the curry. But we did use coconut cream instead of milk hoping for a less runny mixture. My nose was running by the end of it, so it was very spicy for me. Overall pretty happy with it, but was less enjoyable than the other sauces in the range due to the heat. When I was reading the back of the sauce packet,, I saw that I needed to add water and coconut milk to my mixture. This meant that I needed to plan my meal ahead, for a change, and so I set a date and ensured that I bought two cans of coconut milk (as it was suggested that two, not just one, can may be needed). I have to say that I was glad that I had gotten two cans of coconut milk. When I first tried it, it wasn't too too hot, but it had enough spice to it that I knew it would build up and be unbearable for myself. I ended up adding both cans of the milk, but no water, and I'm glad I didn't add the water as otherwise it would have taken twice as long to thicken the sauce, or at least simmer it down to a respectable amount. The dinner that I chose to do this for was our vegetarian night, and so I wasn't too sure about how it would go with the Tender Pieces that I had to use for the dish. The good thing was that the sauce soaked well enough into the tender pieces without taking over their original flavours. I also added a mixture of potatoes, broccoli, peas and carrot to the mix, which suited the sauce very well. However, I did find a couple of leaves (not sure what herb?) that I could have happily done without. 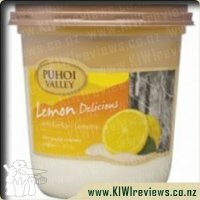 All in all it has a decent flavour, and makes much more than you would expect it to, but the flavour wasn't so great that I'm dying to have any more of it right away. At $10, I'm doubtful that I would buy it. Maybe if it was closer to $6 I would, as it did make enough for 6 adult meals (including rice and roti), but at $10 the flavour would need to be pretty amazing for me to be happy to spend that much on sauce. Still, I would eat it again. 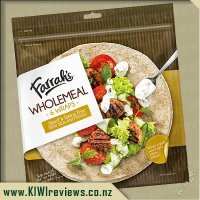 Farrah&apos;s Wraps are manufactured in Wellington, New Zealand using quality ingredients sourced from both local and overseas markets.